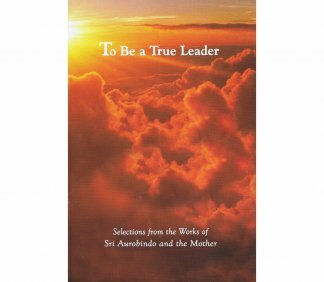 Translated and revised from the original Oriya text, this book is a passionate argument for the effectiveness of nama-japa in Sri Aurobindo’s yoga. 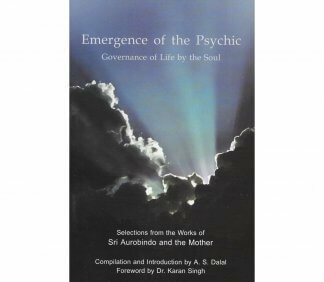 The author’s premise is that through all the difficulties and arduous trials of the yoga of transformation, the safest and least difficult path is that of complete surrender to the Mother, and that the most direct way to achieve such a surrender is by the constant repetition of the Mother’s name. 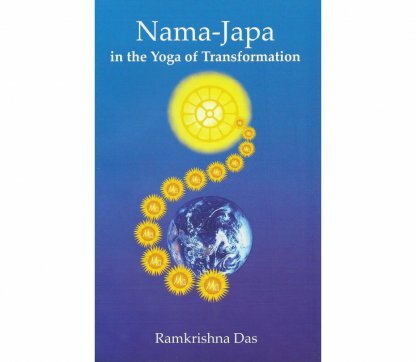 In concise and affirming language, he describes how to use nama-japa in work, in worldly life, to overcome obstacles from within and attacks from adverse forces, and how to make its practice natural, spontaneous, and effective. Sri Ramkrishna Das begins this work with a bold and uncompromising statement: “In the Yoga of Transformation, there is only one sure and certain way to overcome all seemingly insurmountable obstacles, to pass securely through even the most cunning and subtle attacks of the hostile forces and to safely reach the goal. This way is to surrender at the feet of the Mother like a small child and repeat her name. 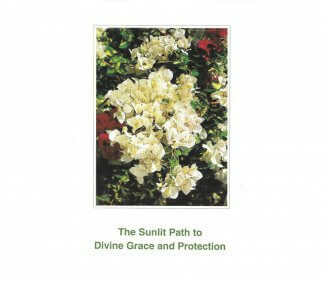 It is never safe to tread the path of this yoga without this impenetrable armour.” The rest of the book consists of a lucid and compelling illustration of this central theme. The words of a realised man carry a natural authority, power, and simplicity that cannot be imitated. Very few people can be said to be in a position to write about this yoga with any true authority and even fewer still could presume to write on the yoga of transformation from a perspective of illumined experience. But the stamp of Truth can always be recognised. Therefore the discriminating reader will immediately perceive that when writing Nama-Japa in the Yoga of Transformation, Sri Ramkrishna Das was doing so as a man who had lived the yoga and embodied it in his own person. But according to the author, it is not only in the final stages of the yoga thatnama-japa should be practised, rather that it is desirable to practise it from the very outset. For Sri Ramkrishna Das puts forward an idea of immense significance; namely, that there exists an essential identity between the supramental power, the Mother and the Mother’s name-‘Ma’. The natural implication of this is that the Mother’s presence and the transforming action of the supramental power are always with those who constantly repeat the Divine Name with a sincere attitude of aspiration and surrender. Sri Ramakrishna Das further emphasises that in this way even those who have only just begun their sadhana can quickly develop constant awareness and intense aspiration. Finally, and perhaps most importantly, what the reader actually encounters in this remarkable text is a powerful impulse pushing him to fulfil his ultimate spiritual destiny. He is shown the goal and shown also a straightforward and entirely safe and dependable means to achieve it-a simple reliance upon the name of the Divine Mother. Jonathan is a sculptor from England and has been a devotee of the Mother and Sri Aurobindo for a long time. Every year he spends several months here in Puducherry.